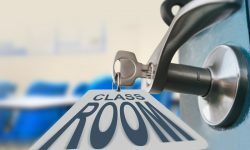 Most classroom barricade devices violate ADA, NFPA and other federal codes that are designed to enable individuals with disabilities to quickly evacuate a dangerous situation. Whether you see the Americans with Disabilities Act (ADA) as a victory or a compromise largely depends on whether you are one of the 53 million Americans who has a disability. While there is no question that the passage of the ADA in 1990 significantly improved access to buildings, transportation and employment, it wasn’t nearly as comprehensive as most Americans assume. It generally isn’t until we experience a situation that restricts our mobility or that of a loved one that we suddenly appreciate just how many accessibility challenges remain in spite of the ADA. The struggle to achieve accessibility for all Americans has only grown more difficult in recent years. Post 9/11, the focus for construction has shifted from safety and accessibility to security. Keeping intruders from getting into a building is often prioritized over ensuring occupants can safely get out during an emergency. This battle between accessibility and security is being waged on a number of fronts, but perhaps nowhere more visibly than in K-12 schools, where parents, some law enforcement and school administrators are fighting against fire marshals, code officials and the disabled community. Keeping children safe is the goal of both sides, but opponents of the new security methods being proposed say they violate a number of building codes as well as Federal Accessibility Laws. Tragedies like the shooting at Sandy Hook Elementary have left parents, teachers and school administrators understandably concerned about their school’s ability to respond to a similar event. But with few financial resources available to properly address the issue, options for enhancing security seem limited. In response, dozens of retrofit security products are being marketed to school officials. 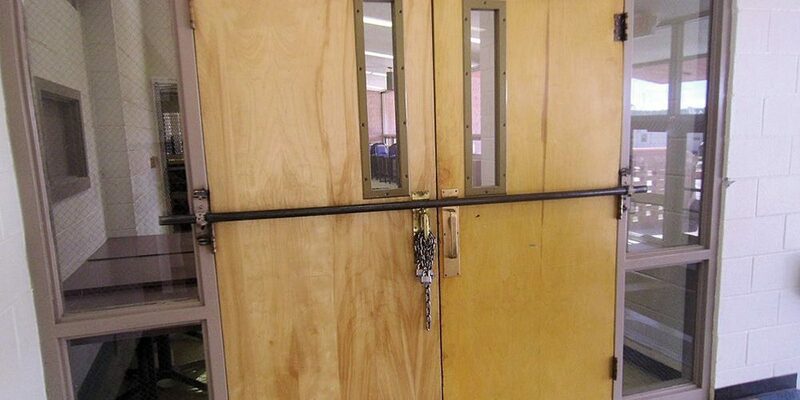 These devices are available in a number of designs, but the goal of each is the same — to turn the classroom door into a barricade that can theoretically prevent an attacker from gaining access. These products are inexpensive, easy to install and very effective at keeping a door closed and preventing an active shooter from entering a classroom. However, they aren’t code compliant, and they pose some significant safety issues, particularly for individuals with physical and visual disabilities. These requirements are designed to enable all occupants, including those with disabilities, to quickly evacuate a location during a fire, bomb threat, active shooter attack and other situations. Although these requirements have been in place for decades, many proponents of barricades argue that active shooter situations call for extreme responses and should be exempt from codes mandating free egress, fire protection and accessibility for all. Another common claim is that active shooter incidents are more common than fires, so therefore security measures should take precedence over fire safety. This argument is particularly worrisome to the National Disability Rights Network. This argument to prioritize security over fire safety also fails to stand up to basic statistics. According to the National Fire Protection Association (NFPA), between 2000 and 2013, there were 1,456,500 non-residential structure fires in the United States, with 1,260 civilian deaths and 21,560 civilian injuries. For the same period, the FBI counted 160 active shooter attacks resulting in 487 deaths and 557 injuries. These statistics starkly illustrate how vital life safety is to ensure the safety of all building occupants. Not only do barricade devices prevent occupants from evacuating, their use is predicated on the assumption that the assailant will be outside the classroom. But several active shooter incidents have involved the assailant barricading himself inside with the victims, including the shootings at Virginia Tech, the West Nickel Mines Amish School and Platte Canyon High School. In all three situations, barricaded doors likely contributed to the loss of life by delaying first responder access. For the past several years, the battle over the use of barricade devices has raged across the country, with code officials fighting desperately to prevent life safety from being compromised in the rush to upgrade classroom security. Several states went so far as to enact their own guidelines in order to allow schools to install these devices. Any latches installed on egress doors must be able to be unlatched simultaneously by a single releasing operation from the egress side. 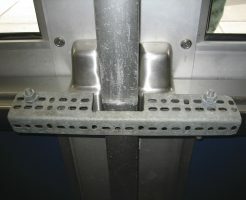 Hardware used to release the latches must be mounted between 34 inches and 48 inches above the floor. Operation of the hardware for egress must be accomplished without tight grasping, pinching or twisting of the wrist, and without using a key, tool, special knowledge or effort. Electrified locks may be remotely engaged to prevent access, but they must allow free egress from the classroom side of the door. 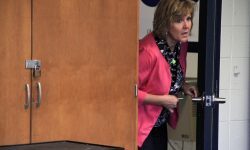 Locked classroom doors must be able to be unlocked from the outside with a key or other approved means, to allow access for school staff and emergency responders (this is the new requirement that was added to the 2018 model codes). Door closers, panic hardware and fire exit hardware may not be modified by retrofit locking devices and modifications to fire door assemblies must be in accordance with NFPA 80 – Standard for Fire Doors and Other Opening Protectives. 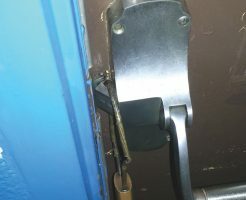 The facility’s emergency plan must address locking and unlocking classroom doors, and staff must be drilled in these operations. In addition, NFPA 101 requires the doors to be lockable from within the classroom, without opening the door. But while this may appear to have been a great victory for those fighting on the side of accessibility and life safety, it will be several years before these new codes are adopted. In the meantime, parents and school administrators continue to be seduced by the promise of a quick and inexpensive solution to their security needs. The Barricade Box from Lockdown International addresses all the above practical and legal concerns. Check it out! It’s sad that the Michigan State Fire Marshall completely disregarded the NFPA 80 fire safety codes he was hired to enforce. Follow the Federal school security grant money if you want to know who benefits from these blatant code violations. It’s certainly not in the best interest or safety of the occupants of the school buildings to buy these barricades. It is totally irresponsible to not allow school classrooms to be secured in the event of an active shooter situation which is much different than a weather or fire emergency. In the event of an actual active shooter situation I train schools to harden the doors and barricade the room. I train them to use belts, electrical cords, etc. to secure the door and then to pile furniture against the door as a barricade. We then turn the desks over, turn out lights, pull down shades and cover door windows to darken the room. Yes, all of the aforementioned are barriers to egress by ALL those inside the room but for the short term, until first responders are on scene and in control, they are designed to prevent a killer from entering the room. These procedures are limited to actual, exigent circumstances. Are any door securing devices code compliant at this time? 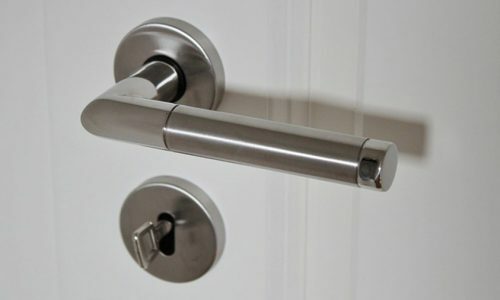 There are plenty of legal door hardware solutions that don’t violate building and fire codes. Often these locks are already installed or require a minor retrofit, but are disregarded. It’s not about pitting security proponents against building/fire officials. It’s about joining together to identify compliant security measures. Building/fire officials and door hardware manufacturers with expertise in egress related codes must be consulted so the fundamental concept of building safety – the ability to rapidly exit in response to any emergency – is not suppressed. Please explain how school staff and emergency responders are able to unlock the Barricade Box from outside the classroom, as being able to do so appears to be a requirement of the 2018 International Building Code and the 2018 International Fire Code. The number of people being shot in America every year ALWAYS dwarfs the number injured in fires. Robberies, home invasions, assassinations, car jackings, gang violence, terrorism. Just because many of the shootings do not fit as an active / mass shooter does not discount the carnage. Current protocols including ALICE train students and staff to create an “improvised barricade” by stacking file cabinets and furniture in front of the classroom doors. Think about it. These improvised barricades are less effective and create more of a challenge for occupants attempting to exit then a professionally researched and constructed device. 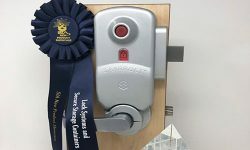 During recent training presentations by Virginia state deputy fire marshals, they announced that as of that time, no door barricade devices were permissible in the Commonwealth of Virginia. When it was then mentioned that Campus Safety magazine featured advertisements by door barricade vendors, that was found to be sending contradictory messages. Campus Safety Editor Robin Hattersley recently announced that Campus Safety was taking a stand against door barricade devices. Chief Donald E. White, Former Director of Safety and Security, Northern Virginia Mental Health Institute, Falls Church, VA. I am perplexed at the resistance to implementation of door barricades in schools; particularly inside classrooms. I understand the concern of having such barricades at perimeter doors or maybe even internal hallway doors as this could impede the ability of students and faculty to escape from a building where an active shooter is taking place. But consider the classroom example. The people in the room make a choice to barricade, either because escape is not safely possible (or they perceive it’s not safely possible). They barricade the door to deny entry to the attacker. They are either going to do this with an installed device designed to work as a barricade, or they will sloppily push desks, furniture or what ever else is at their disposal to block the door. Both solutions violate fire and safety codes. But what is the greater risk at that point? The shooter or the chance of some random fire? Seems like there is a middle ground solution.